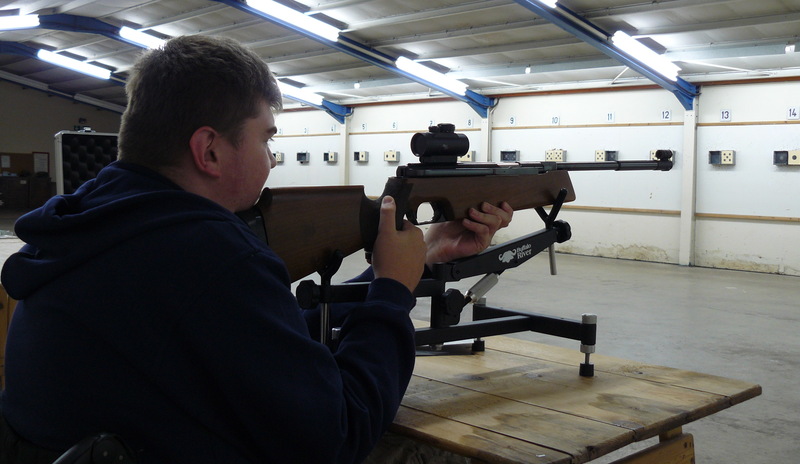 Sutton Coldfield Rifle & Pistol Club was formed in 1944, from the Sutton Coldfield ‘C’ Company Home Guard Rifle Club. The Club moved to its current purpose-built range in 1979. We incorporated pistol shooting in the ’80’s and added Sport Rifle and Bencherest Rifle in the 00’s and 10’s. A former member was selected for Great Britain at the 1980 Olympics, but for political reasons, Britain did not send a shooting team. One of our members won a silver medal at the Seoul Paralympics, 1988, and was the British Men’s Air Rifle Champion and held a World Record. In 1996 we came first in the National Roll of Marksmen and have never been lower than 7th since first entering the competition. In 1999 our 20 yd pistol team was the best in the country, winning div 1 of the National League. Regularly represent Warwickshire and Staffordshire in the inter-county leagues. Captain teams and run competitions for our county, Warwickshire. Coach and shoot for the West Midlands Regional Target Shooting Squad. Run regular sessions for Midland Mencap. Coach and officiate for West Midlands Pentathlon and PentathlonGB. Are members of the Warwickshire Assn committee.